Portugal, in Southern Europe, shares the Iberian peninsula at the western tip of Europe with Spain. 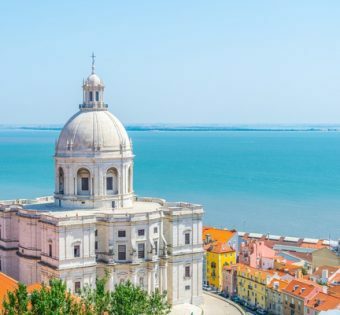 Geographically and culturally somewhat isolated from its neighbor, Portugal has a rich, unique culture, lively cities, and beautiful countryside. Although it was once one of the poorest countries in Western Europe, the end of dictatorship and introduction of Democracy in 1974, as well as its incorporation into the European Union in 1986, has meant significantly increased prosperity. However, it may be one of the best value destinations on the Continent. This is because the country offers outstanding landscape diversity, due to its North-South disposition along the western shore of the Iberian peninsula. You can travel in a single day from green mountains in the North, covered with vines and all varieties of trees to rocky mountains, with spectacular slopes and falls in the Centre, to a near-desert landscape in the Alentejo region and finally to the glamorous beach holidays destination Algarve. The climate, combined with investments in the golfing infrastructure in recent years, has also turned the country into a golfing haven. If you want a condensed view of European landscapes, culture, and way of life, Portugal might very well fit the bill.